The Diplomaticos No.2 is one of my absolute favorite cigars and one of the few I would buy a whole box of. First of all, as a disclaimer, I'm a big fan of cuban cigars overall and I rarely smoke anything else. They may have some quality control issues sometimes but there is something special about them that I like, both flavour wise and "feeling" wise. The Diplomaticos No.2 isn't a cheap cigar, but for what you get it gives you amazing value for your money. At least I think so and I pay around 13€ a piece when I buy singles. I would highly recommend anyone to try this cigar as it's well balanced taste should be nice for both experts and beginners alike. It is as said a very well balanced cigar. It has a nice body, some earthy notes and just the right amount of spiciness according to me. Also it has a hint of sweet milk chocolate to really round of the taste. I recommend you to try it, but remember that it is quite a big cigar so you need to have the time to sit down for at least 1,5 hours. There is a plethora of different cigar cutters on the market and some of the best that I have tried are the Xikar Xi series. they have super sharp blades, a good action and they are also quite affordable. But there is one thing that they lack and that is style! Except for maybe the Xi3 made out of fossilised Mammoth Ivory, because seeing someone cutting a cigar with a 10 000 year old mammoth tusk is just not something you see everyday. But as that one is a bit expensive I had a hard time finding a cutter that had what I would call "style". Most cutters are modern mechanical contraptions that sometimes has small pieces of wood on them. There are many that aren't ugly, but they aren't anything special either. That is until I saw that the French manufacturer Laguiole, famous for their knifes and sommelier tools, made this amazing looking cigar scissor. 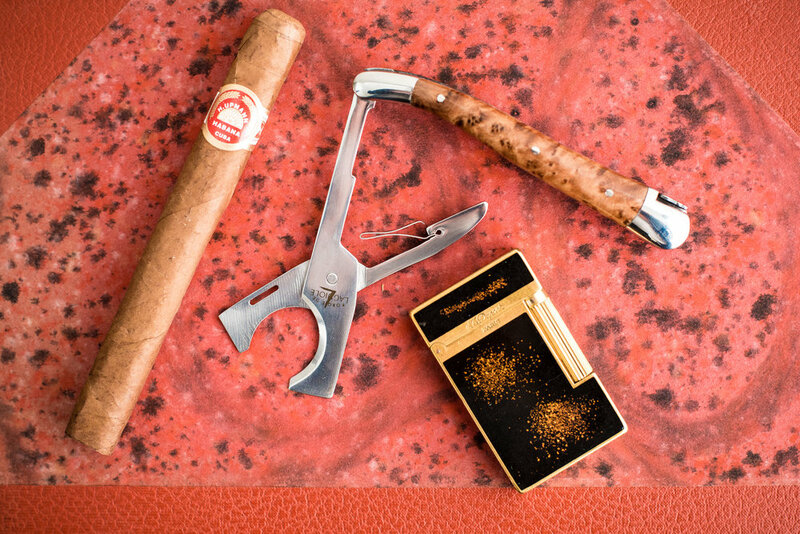 This cigar cutter may not be the best cutter out there and using a scissor is also a bit more tricky compared to a double bladed guillotine like the Xikar. But I still think it's worth it just because how stylish it looks, and isn't at least part of smoking a nice cigar about style? If you don't like the wood mine is made of you can of course get it in a couple of other types of wood.